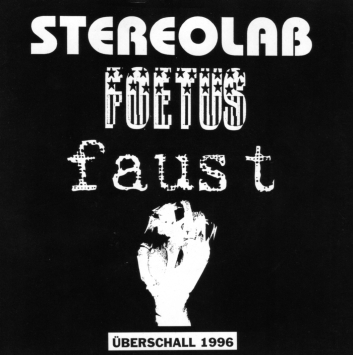 Überschall 1996 is a 7″ split record containing songs from Faust, Stereolab, and Foetus. The record was produced as a limited edition of 2,000 pressings in conjunction with the 1996 Überschall Festival in Bremen, Germany. Some of the records were distributed for free at the festival, and the remainder were distributed equally to the bands to do as they wished.